This will be a talk for the Logic and Metaphysics Workshop at the CUNY Graduate Center, GC 5382, Monday, October 24, 2016, 4:15-6:15 pm. This entry was posted in Talks and tagged foundation, Logic and Metaphysics Workshop, Makoto Kikuchi, mereology by Joel David Hamkins. Bookmark the permalink. Mereology is based on a primitive part-of relation, which is distinct from the settheoretic subset relation. Discrete structure is derived from continuous structure. That seems a better foundation for mathematical structure than the other way around. Oh, I am aware of the mereological purists, and we acknowledge that attitude in our paper. 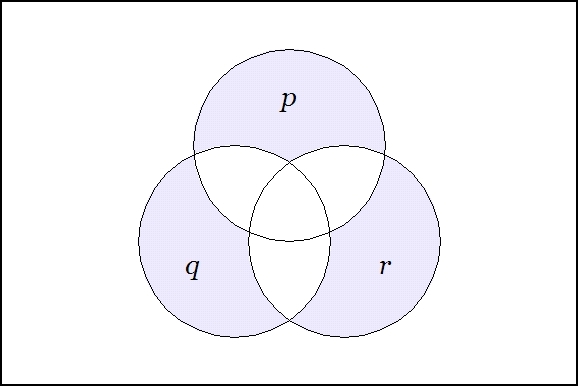 Our project is concerned only with how well set-theoretic mereology, which we define to be the study of the $\subseteq$ relation as an example of mereology, serves as a foundation of mathematics. And the conclusion is that it comes up short, since it has a finitely axiomatizable complete and therefore decidable theory. Perhaps you have some other notion of mereology that you want to use as a foundation; but you should make sure that it does not give rise to an infinite atomic relatively complemented distributive lattice. I gladly leave it to your expertise to determine whether it may give rise to an ‘infinite atomic relatively complemented distributive lattice.’ That’s not quite my cup of tea…. All of the non-well-founded set theories with which I am familiar (e.g. Aczel’s AFA, Boffa’s theory and many others) still prove that the inclusion relation is an atomic unbounded relatively complemented distributive lattice. And so those theories have exactly the same set-theoretic mereological theory as does ZFC, since this is a complete theory. Indeed, in our paper we emphasize that the mereology doesn’t change if you assume every set is finite, and work in the structure of hereditarily finite sets. In this sense, the subset relation cannot tell if infinite sets exist, whether ZFC holds, whether there are non-well-founded sets, and so on.